Folks, if you are free for further philatelic adventure, why not drop by the local post office on the way to the PSM Stamp Fair this Saturday (08 December 2018). 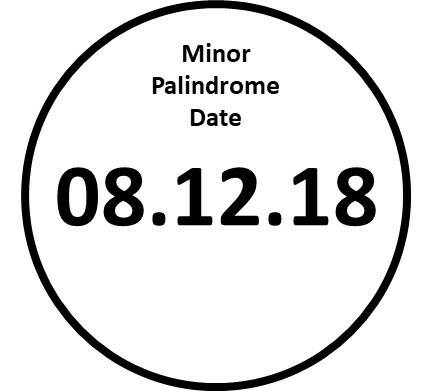 Incidentally it is a minor palindrome date (08.12.18). Usually it is just called a radar number, but let’s be professional, it is palindrome number. Reading the palindrome number from left to right and right to left will be the same i.e. 81218! The previous minor palindrome was in November 2018. This is different compared to a major palindrome which is the same from left to right or right to left on a full date: 8102018 which occurred in October 2018. Minor palindromes will cease from 2020 until… you figure it out and tell me. Meanwhile, the 5th PSM Stamp Fair will be held from 08 – 09 December 2018 in the regular Petaling Jaya Community Library. The published time is from 09:30 am to 05:30 pm. Pos Malaysia usually brings out really good old stuff. I think many are waiting for the recent Thailand 2018 ETS Overprint MS FDC by PSM. Hopefully it will be on sale…. well, we will know on Saturday.